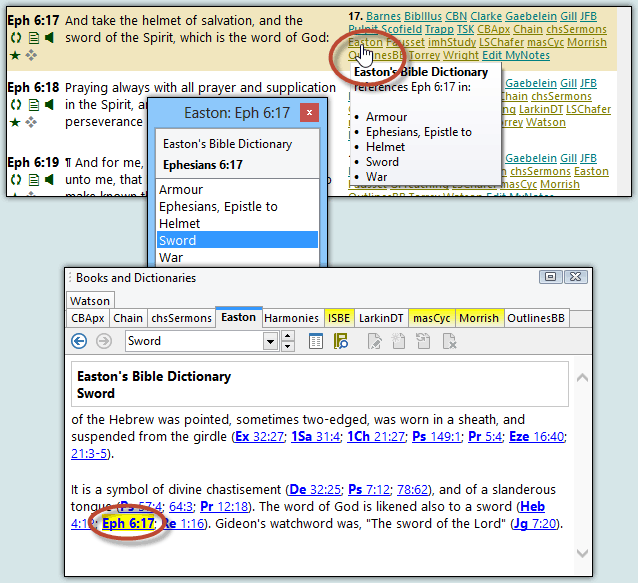 "Deep Referencing" links verses to every resource available. Not only are commentaries tied to verses, but other books are too - topical references, dictionaries, encyclopedias, etc., are all accessible directly from the verses they reference. No more searching for topics or dictionary headings that might be relevant to the passage you are reading - SwordSearcher puts it all a click away.